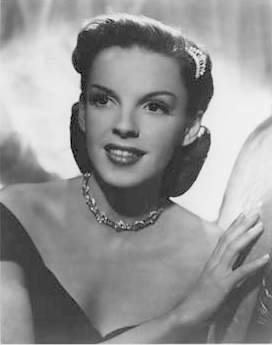 Born and raised in show business, little Frances Gumm changed her name to Judy Garland and became one of classic Hollywood's most popular musical entertainers and actresses. 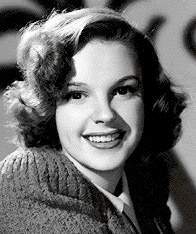 She won her only Academy Award in 1939 "for her outstanding performance as a screen juvenile during the past year," most notably for her work on THE WIZARD OF OZ. Later in her career however, she would earn greater recognition for her acting abilities with Oscar nominations for her performances in A STAR IS BORN (1954) and JUDGMENT AT NUREMBERG (1961). 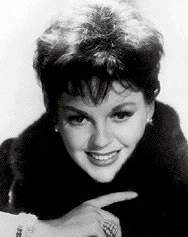 Judy is my favorite female classic movie vocalist, and in 2004, the American Film Institute's ranked five of her famous film numbers among its list of the 100 Greatest Movie Songs -- more than any other female vocalist. 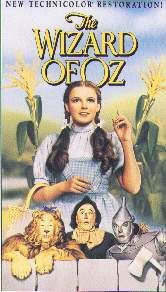 See more about Judy in her most famous role as Dorothy in THE WIZARD OF OZ (1939). Although it wasn't her first film, it was definitely the movie that made her a star and the role for which she'll always be remembered. 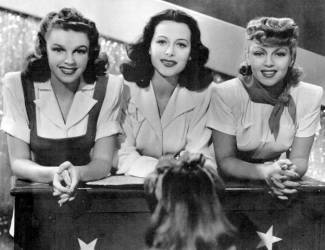 In ZIEGFELD GIRL (1941) with Hedy Lamarr and Lana Turner. This story of three young actresses "discovered" by Ziegfeld also featured Jimmy Stewart, Jackie Cooper and Tony Martin.